Since it’s summer, or at least we’ve seen some days trying to resemble summer, we’ve shifted our drinking preferences to Rose. 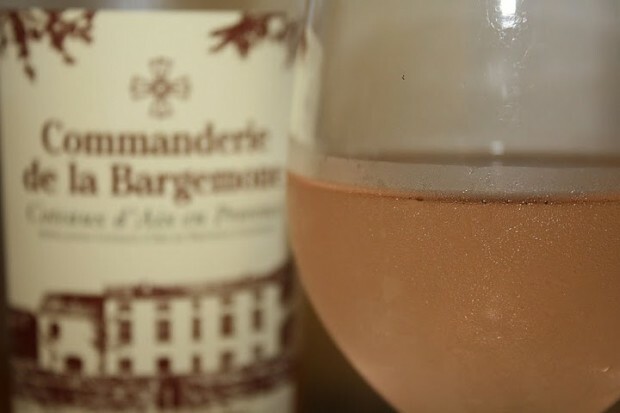 For this week’s what we’re drinking post we opted to review a Rose from Brynn’s beloved Aix-en-Provence. It’s because the wine is from the Coteaux d’Aix en Provence that Brynn bought the bottle while on a recent trip to Whidbey Island’s Langely. Heck it could have been sugar water and she probably would have paid an arm and a leg for it, purely because it was from Aix. 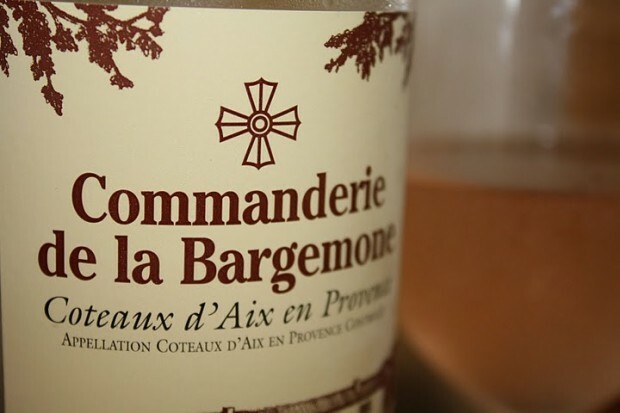 Luckily the Commanderie de la Bargemone, Coteaux d’Aix en Provence 2010 Rose is far from sugar water. Instead it has a nice acidity that shines through on the finish and balances the hints of sweetness that are noticed on the mid palate. The color is a beautiful pale pink, looking more like a pink rose kissed the clear juice, leaving the faintest remnants of its pale pink color. This is a versatile wine that can match any food pairing, but would also be perfect to sip on a hot afternoon or on the porch during sunset. We snacked on fresh green beans from Mary’s garden and a block of cheddar cheese from Fred Meyer while trying this wine. Both went well with the Rose, showing its versatility. “I was surprised at the initial sweetness of it. The color is what the French would term, ‘eye of the partridge.’ It has this most wonderful fragrance of flowers. It’s amazing to me that you get such weight and body in this wine. When you look at it you think it’s kind of that insipid color, but it has so much flavor and aroma and body. It’s a nice acidity too.